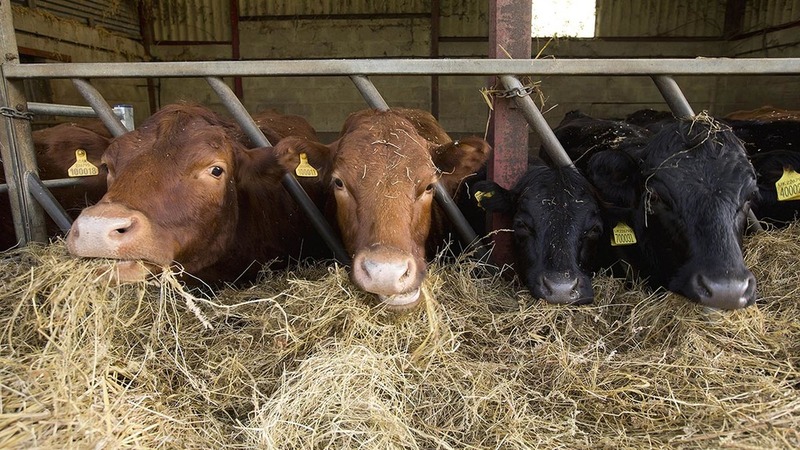 Norfolk farmer Helen Reeve has built her Waveney herd of Dexter cattle from scratch, selling the beef herself at local markets – all alongside a full-time ‘day job’. She is now hoping to inspire the next generation of farmers and show them how, with a bit of hard work, a lot can be achieved. Clemmie Gleeson reports. Despite her parents’ best efforts to encourage her to pursue other career options Helen Reeve knew from an early age she wanted to be a farmer. Growing up in Alburgh, Harleston, Norfolk, her father worked on a dairy farm and she would help him with the cows, enjoying all aspects of it. Her first experience of Dexters was at the Royal Norfolk Show where some characterful exhibits were ‘making the biggest row possible for their size’. Helen’s parents Peter and Joan Reeve realised their daughter’s obsession wasn’t a fad and made her dreams come true when they bought her first Dexter heifer when she was 14. Helen’s heifer lived on the dairy farm where Peter worked and stayed on after the dairy herd was dispersed. Helen bred from her and bought additions to start her fledgling Waveney herd. After school she attended Easton College where she completed a Higher National Diploma in Agriculture. Then, alongside developing her own herd and business, she took a full-time job with a pedigree Jersey herd on the Norfolk/Suffolk border. As if this wasn’t enough she was also a stalwart member of Harleston Young Farmers Club and threw herself into competitions and public speaking, later becoming Norfolk county chairman and chairman of the national agriculture and rural affairs committee. While dairying was Helen’s first love she realised without the necessary capital establishing a dairy herd wouldn’t be possible. “I had tasted Dexter beef before and it was first class so I decided I would produce and market top quality beef.” At this point she had just five cows. As well as producing finished beef animals she also set her sights on the showring. 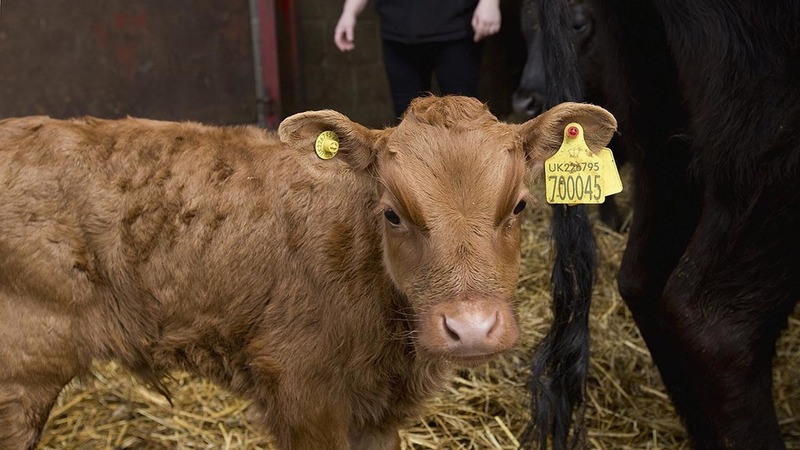 “I decided I wanted to go to the Norfolk Show but it was really important to me to show something which had my own herd name.” Achieving this in 2009 was a proud moment for Helen. The Waveney herd now stands at 50 head of cattle. Helen rents about 20 hectares (50 acres) of grazing, plus buildings, and has a lot of practical help from her father with looking after stock. She uses AI in the herd, a skill she developed from her work with the Jersey herd. “Our building is not really geared up for having a bull and, as it’s me or my Dad on our own, it’s not really safe to have one.” But AI is a challenge with Dexters, she explains. All the male progeny are raised for beef while females go into the breeding herd. All meat is sold direct. Each beast produces about 180kg of meat and carcases are hung for 21-28 days to add to the flavour, which is important to Helen. She also gives talks to local groups in the evenings, never missing an opportunity to tell her story and sell her produce. 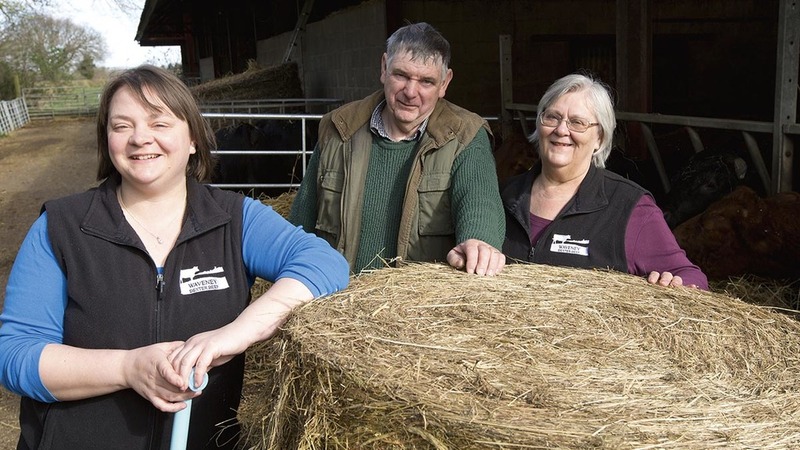 In 2009 Helen won the Chris Lewis award and the £3,000 cash prize helped her fund some equipment for the herd. Just two years later she was named as winner of the Growing Business award and she used her £5,000 prize to buy a livestock trailer. Last year she was one of five winners of a Prince’s Countryside Fund, winning the use of a Land Rover Discovery for a year. In the future Helen plans to increase herd numbers and beef sales accordingly, all while educating customers about how food is produced. Through all this, Helen has maintained a full-time ‘day job’ and last year decided it was time for a new challenge, leaving the Jersey herd job after 18 years. In September she joined the staff at Easton and Otley College as a work-based learning training coordinator. Her new role sees her lecturing for part of the week, spending the remainder assessing apprentices on farms. She also continues her links with YFC by running the Harleston Countrysiders group. “I loved every second with the Jerseys, the challenges and looking after the stock, but with my own business growing it was getting tricky to fit it all in. It started as a hobby but has taken over my life – and Mum and Dad’s too. Unsurprisingly, Helen has taken to her new role with her characteristic enthusiasm and energy. “I love it. I’m visiting different farming enterprises across Suffolk, Essex and Norfolk. It is really interesting seeing what a range of businesses are doing. “Easton College was brilliant for me as a student. The lecturers saw more in me more than I could see in myself and encouraged me to work hard and seize every opportunity.